Based on Jack Kirby's cosmic superhero team. 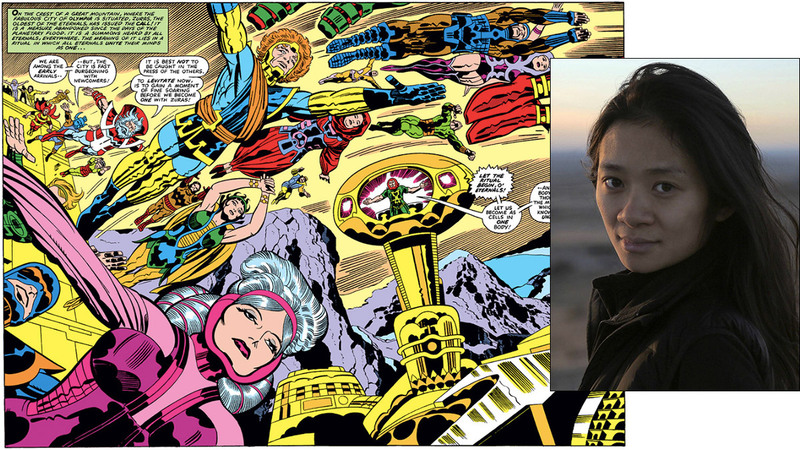 Filmmaker Chloe Zhao, best known for the acclaimed indie features The Rider and Songs My Brothers Taught Me, has been tapped direct Marvel's next potential franchise, The Eternals. Based on characters created by Jack Kirby in 1976, the superhero team adventure centers on the super-powered and near-immortal beings known as Eternals and a more villainous off-shoot know as the Deviants that were created by cosmic beings known as Celestials. According to The Hollywood Reporter, one aspect to the story involves the love story between Ikaris, a man fueled by cosmic energy, and Sersi, who relishes moving amongst humans.